This is the kind of knit top I'm a bit short of in my wardrobe: one that's comfortable, but can also be dressed up when necessary. I don't know what it is about this pattern, (maybe it's the kimono sleeves?) but it definitely feels like it's a notch up from a plain old sweatshirt. The pattern I used was Burda 09/2011 108A which I've used once before for my striped kimono top. This is so, so easy to make it's ridiculous, even more so if you're not pattern matching stripes. It probably takes about half an hour maximum to sew together. Well it would have if I hadn't encountered a few neckband issues along the way. I'll spare you the gory details but in short, I ended up having to unpick the neckband I'd overlocked in place. I then went back to my original plan, which was to turn under the neckband and stitch. The result was plain and simple (although admittedly, a bit baggier than when I started) but it looks absolutely fine. I made a few other small changes to the pattern from last time. I lowered the neckline slightly, took a chunk of about four inches off the length (the top is very long in its original state) and lengthened the sleeves by two inches to make them wrist length. The fabric - a white jersey knit with large black polka dots - is quite a bit stretchier than the striped jersey I used for my first version. I used the same size for both tops (size 38) but this one came out a lot baggier, probably because the fabric wasn't quite as clingy. 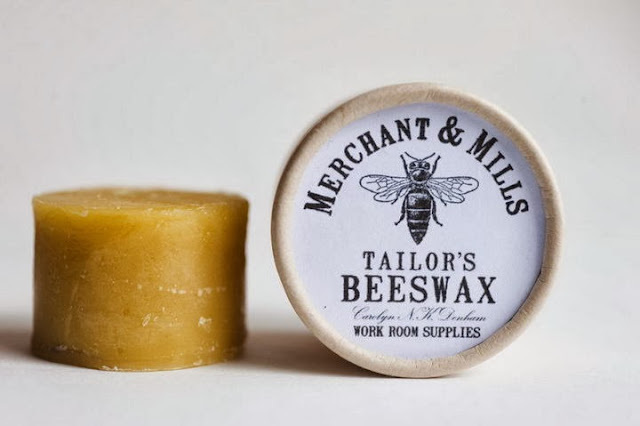 I shaved about ⅜" from the shoulder seams and around the sides and this improved the fit. 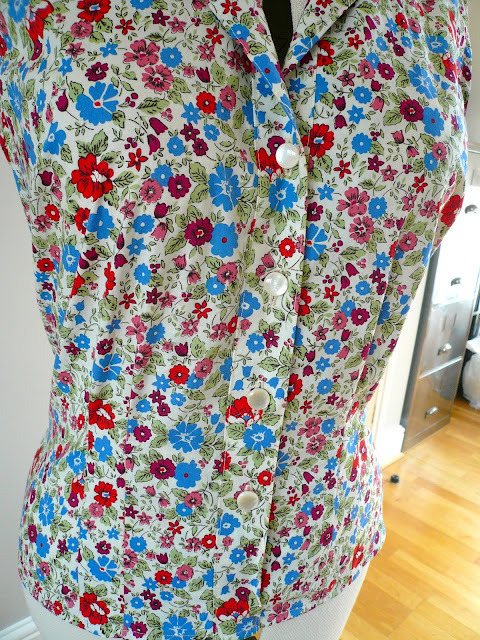 I sewed the whole top on my overlocker, apart from the hems and neckline which were topstitched with a twin needle. This top is my December make for the Minerva Craft Blogger Network. If you'd like to make your own version, Minerva has put together a kit which you can buy here, comprising 2m of white polka dot jersey fabric and matching thread. Two metres is probably quite generous, but I always err on the side of caution with kimono sleeves as the pattern pieces eat up a lot of fabric. The kit was given to me free of charge as part of the Minerva Crafts Blogger Network. All views my own. When I made this blouse I declared that I'd like to wear it for the rest of my life, and I still stand by those words. 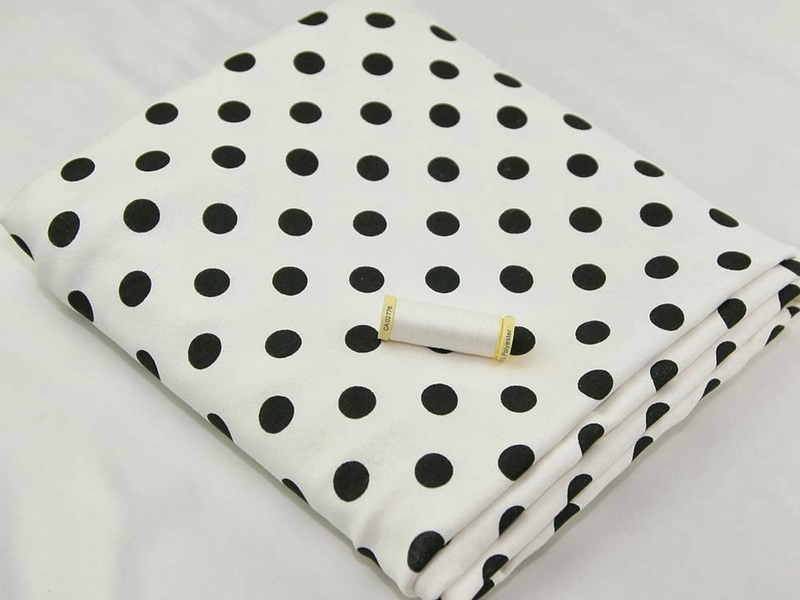 Red, with polka dots, sleeveless for maximum cardi-wearing action and a perfect Mrs Slocombe bow - I don't think it can get much better than this. Don't let the simplicity of the lines and the plainness of the fabric deceive you. The cut of this kimono-sleeved pattern is just lovely and the fabric - Brussels Washer yarn dyed chambray - is a delight to wear. There will definitely be more Anna dresses in 2014 and that's a promise. A surprise hit as they have a very high waist, so are not the most forgiving of trousers. I still found myself wearing them again and again all summer long. Maybe because they're a thinly disguised retro version of jeans?! I loved making this and was so proud of the finished dress. 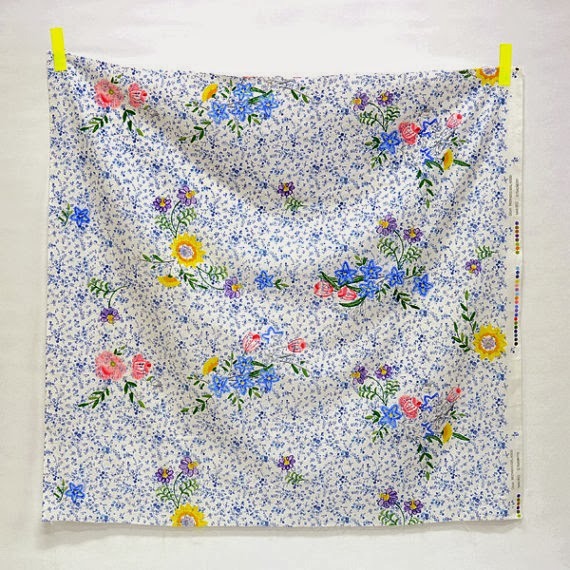 It's fully underlined with silk cotton and the blue rose Liberty Tana Lawn is sooo soft and buttery to work with. I've worn it quite a lot too which I'm happy about as I spent so long getting it just right. Bit of a cheat here as there are actually two tops, a polka dot version and a floral version. But in my defence, they were both made from the same pattern (vintage Simplicity 4238). Again, their sleeveless status is massively in their favour and the twelve darts in each top makes them a very flattering wear. 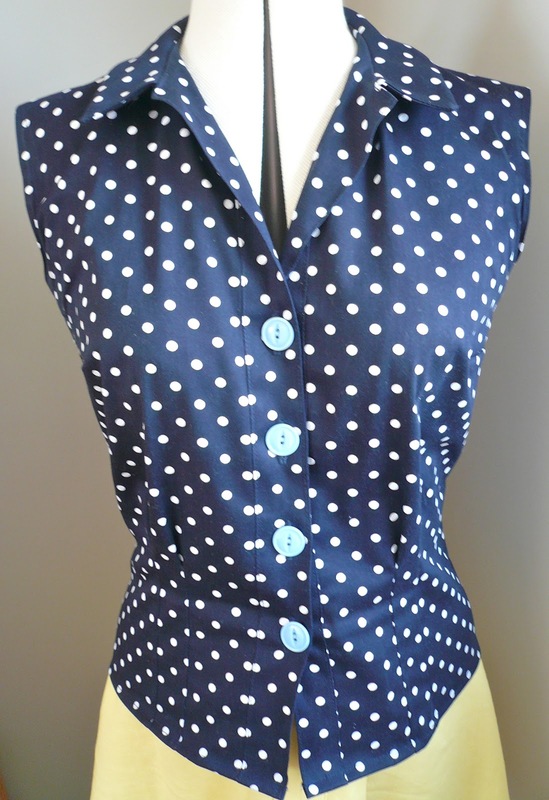 Along with the original gingham top made from the same pattern, these were on regular rotation throughout the year. Expect a couple in plain colours to make an appearance next year…. They're also very wide and very red… I know I just need to find the right occasion and the right amount of confidence to be able to sashay down the street in them. That day will come, I'm sure of it. A bit annoying this as I actually really needed some PJ bottoms when I made them. They looked nice, but their failure was all down to the thick piping I used, which went against my better judgement. Not only did I look like Sporty Spice when wearing them, but they were also impractical. If you must know, I sleep face down on my front and would wake up each morning with piping-shaped ridges right down my legs. The piping actually woke me up a couple of times during the night they were so uncomfortable and as a famously heavy sleeper, this was the deal breaker. Out they went I'm afraid. Apart from that, I'm very happy with my 2013 handmade wardrobe and have big plans for making another year's worth of wearable clothes in 2014 (more on that in a future post). I'm cutting it a bit fine admittedly, but I've finally finished my one and only handmade Christmas present. It's a quilt for my younger son Charlie, who's shockingly difficult to buy for. I was beginning to think he'd have nothing but a pile of DVDs to open on Christmas day (which I'm sure he wouldn't complain about!) when I noticed how much he liked snuggling under his brother Louis' quilt. Eureka - I'd make him a quilt of his own! When I made Louis' quilt almost a year ago, he was very involved in choosing fabrics and had a clear idea about how he wanted the quilt to look. In stark contrast, Charlie really didn't give a monkeys, he just wanted something to crawl under. I did manage to get out of him that he wanted it to be blue…with giraffes on it….OK. The giraffe fabric was in fact the only fabric for the quilt top I ended up buying, I managed to eek the rest of it out of stash fabric which was supremely satisfying. The two solid blues were from my craft fair fabrics stash, the blue polka dot fabric was left over from my Jubilee Dress and the red and white striped fabric was kindly gifted to me by Amy after she won my Banksia top in a giveaway. I like the fact that the giraffe fabric has a pop of yellow on it to give the quilt a bit contrast colour. This quilt is the same size as Louis' quilt (approx 40" by 60") so quite small, but still large enough to curl up on the sofa underneath. I used a navy cotton sheet as backing and bound it with this lovely striped bias binding from Frumble Fabrics. It didn't actually take that long to make as I knew what I was doing this time (sort of). I used all the same layouts and tutorials as I did last time, except for the actual quilting. I quilted just to the side of the seams rather than diagonally across and this saved a lot of time ruling lines etc. Making this quilt has made me realise that I'll never be a passionate quilter. I'm just not meticulous enough or patient enough to concentrate on complicated designs and patterns. But I can turn my hand to simple quilting and pull off a reasonable quilt when required, which I'm happy about. I think Charlie will like it anyway, which is the main thing. Talking of Charlie, I also managed to fashion a new flannel coat for Raggy, which is becoming something of an annual tradition. Last year's effort was beginning to look pretty grim and I was forever stitching up his rips. I used exactly the same strategy as last year and Charlie accepted the new coat without a qualm. He's come on so much recently and has passed a couple of developmental milestones that are actually life changing for our family. In short, he's a rock star and we're so, so lucky to have him as our son. Happy Christmas darling Charlie, I hope you enjoy your quilt! It's party time!! Which is all the excuse I need to make a new dress. This year, I wanted to make my own version of a little black dress (or in my case, a little navy dress as black doesn't really suit me). 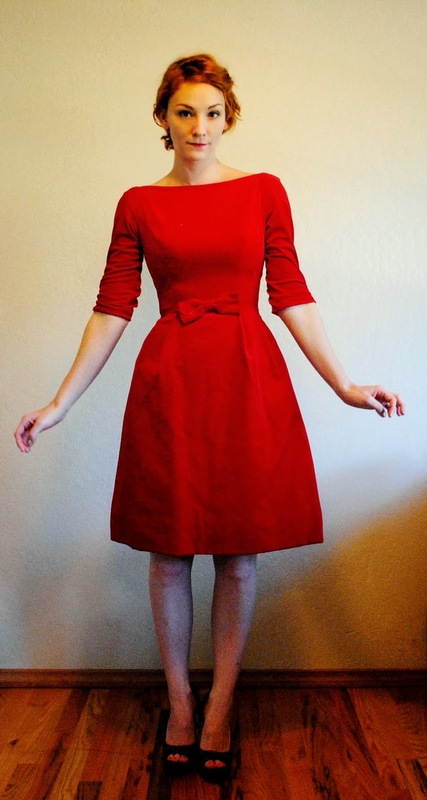 Something classic and elegant, with sleeves and a bow on the front. I've been swooning over these two dresses on Pinterest for weeks, so I decided to see if I could combine the two similar styles into one dress. 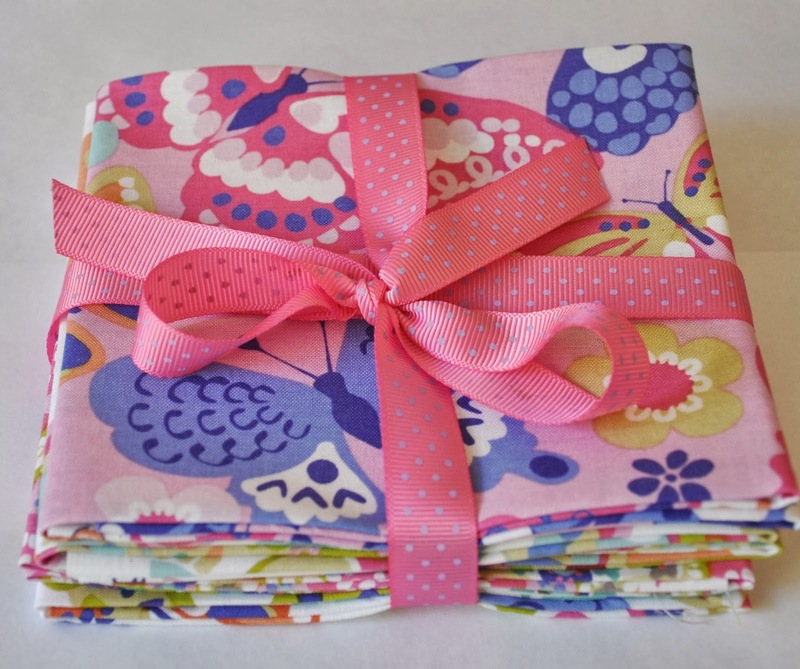 For fabric, I chose a beautiful stretch cotton sateen, which was kindly gifted to me by The Fabric Godmother. The slight stretch makes it super flattering (important if you plan to stuff your face with pies as I do this Christmas) and it has that subtle touch of shininess essential for party wear. As I only had a week or so to make the dress, I thought it safer to go with a pattern that already fitted me well - the Colette Patterns Peony. When I initially made this dress here, I made a lot of changes to the back bodice, getting the fit pretty much spot on on my second version. My measurements are still the same, so I thought it would be a simple case of sewing the amended pattern up for a perfect fit. Wrong! What I failed to take into account was the stretchiness of the fabric. It actually has a lot more stretch than I realised, and when I sewed the dress up it was just way too big. I had to take the bodice side seams in by an inch each side, which sorted out the front, but still left the back flapping about. In a bit of an unorthodox move, I joined the back neck darts and the back waist darts together to make two giant darts/tucks down each side of the bodice. It sounds horrific but as you can see from the photo above, it looks absolutely fine - they actually look like princess seams and help give the back bodice a nice fitted look. Other changes I made were to completely re-draft the neckline to become a round neck as the original bateau neckline was just too uncomfortable for me. I used the neckline from the Sewaholic Alma pattern as a guideline and then drew new facings to match the revised shape. I also chopped six inches off the long sleeves and made them tighter as they looked far too baggy and shapeless for such a fitted bodice. So quite a few last minute changes, but worth it in the end as I love the fit now. To incorporate the bow detail, I decided to make a removable Tilly-style bow belt rather than just add one to the front. Tilly's tutorial is simple to follow and I'm really pleased with the resulting belt. It does involve the sewing on of two sets of hooks and eyes though, and you all know how I feel about those little buggers. My solution? I simply sewed on a set of bra fastenings, so much less fiddly and as they already come with different size options, you can still adjust to fit! Fabric was given to me free of charge for review. All views my own. The one fabric that I really do love is double gauze. It's wonderful to sew with and its fine double layered properties mean you can sew with it all year round. The Etsy shop Miss Matatabi has the most comprehensive selection of Japanese fabrics on the block, all of which are just beautiful. 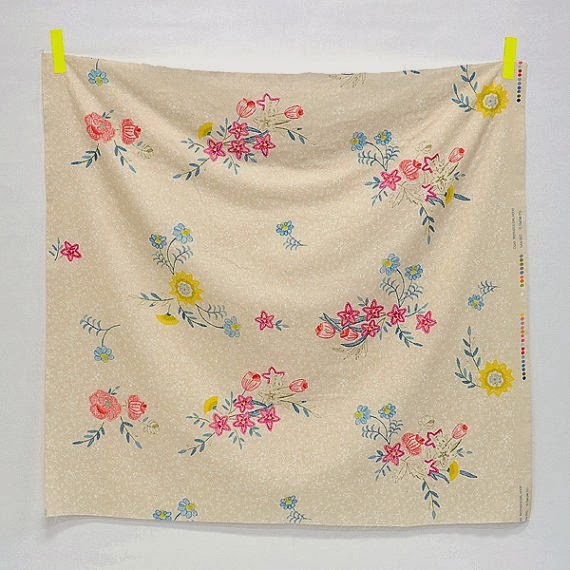 If I had to choose my favourites though, they'd be these two from Nani Iro's Dear Mother's Girlhood collection. Swoon. With such fine fabrics I'd need a high quality interfacing to do it justice, and in my opinion, The English Couture Company produce the very finest. I bought some for my Abbey Coat and have been a convert ever since. 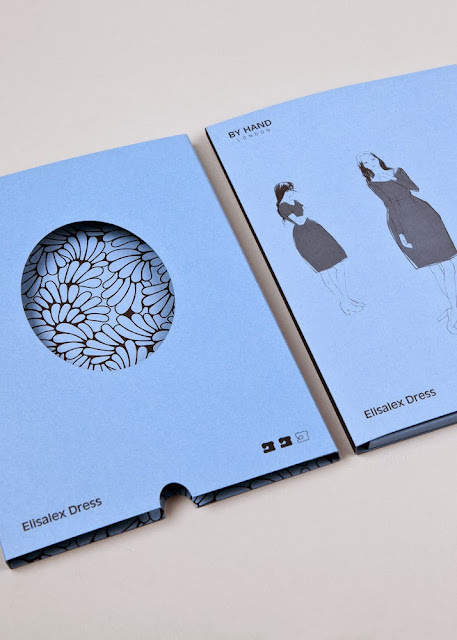 I'd love to nail the fit on a bodice next year and I think the Elisalex dress from By Hand London may just be the pattern to help me achieve this. The skirt doesn't appeal to me at all, it's the perfectly fitting bodice I want to get my hands on. I can always add my own skirt - and if I want inspiration I'll just look through Roisin's many, many gorgeous versions. 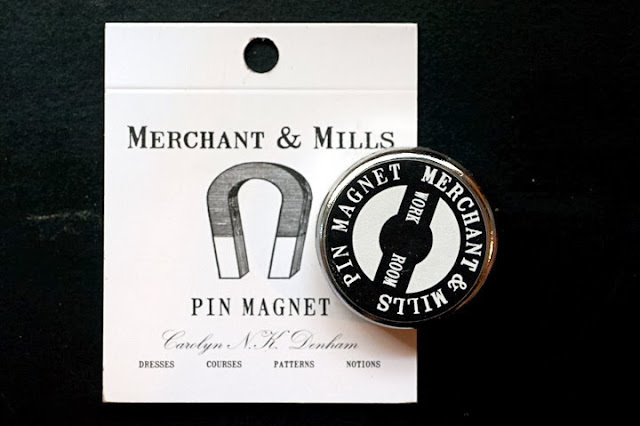 Posh sewing notions anybody? Oooh yes, and they don't come much posher looking than Merchant & Mills. I'd like some Baby Bow Scissors, a pot of Tailor's Beeswax and a Pin Magnet please. Aren't these vintage sewing machine prints by printmaker Debi Holland just darling? 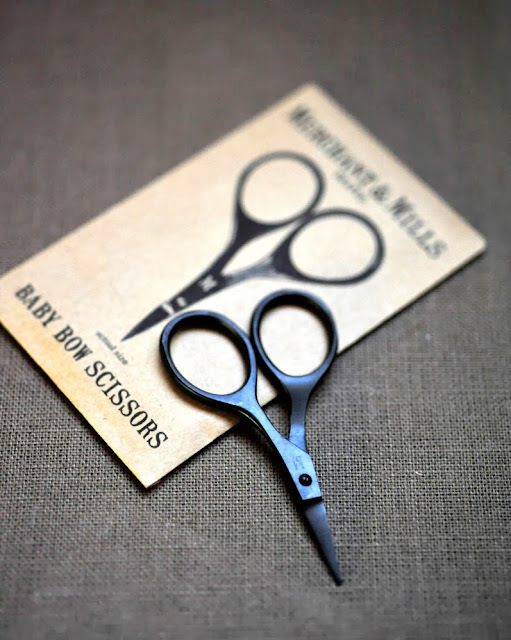 I've already bought these for two sewing pals and they were very well received. She also does prints of vintage typewriters and cameras…. And last, but most certainly not least, a copy of 110 Creations: A Sewist's Notebook by Beth Byrge. Now I have to confess, I don't actually need one of these for Christmas - I bought one the second I saw it reviewed on Lauren's blog and have been feverishly filling it in ever since it arrived. What? Wait until Christmas Day? Are you out of your mind?! In case you haven't realised, this is a special notebook for keeping note of all your sewing projects! 110 in fact: you can record all your ideas for patterns, what fabrics and notions to use, alterations etc AND you even get to colour in a little croquis for each project. A page from my copy, all filled in! There are also pages for keeping check of how many patterns you own, categorised by garment. Making these kinds of lists is how I currently spend my entire waking life, so this notebook is basically all my Christmases rolled into one! Hoorah. 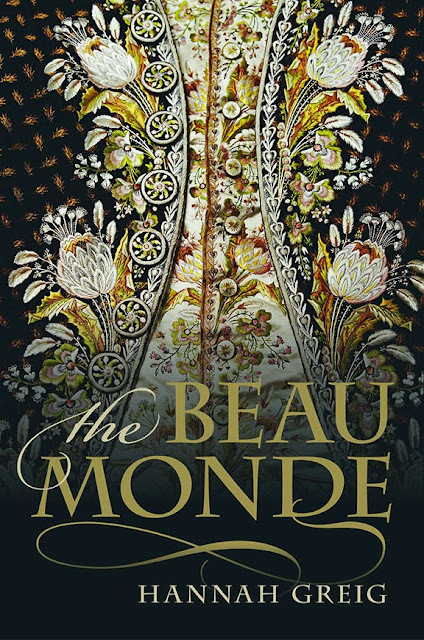 When my friend Liz sent me details of Buying Luxury, Acquiring Style, a talk on Georgian fashion and menswear at the British Library, my interested was piqued. 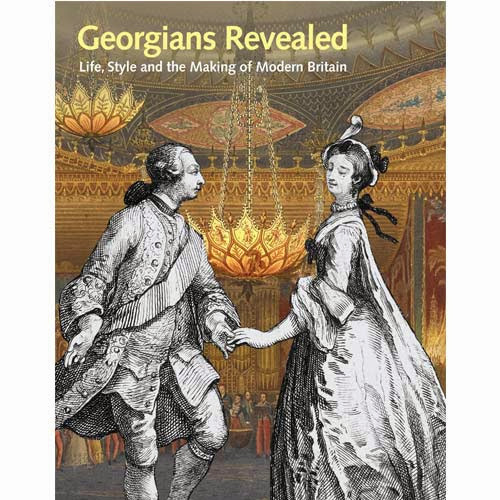 I find the Georgian period fascinating (mainly down to Georgette Heyer novels: all those duplicitous cads and scoundrels in their splendid silks) and I'm rather partial to finding out whatever I can about gents trousers. Could this possibly get any better? Yes it could. 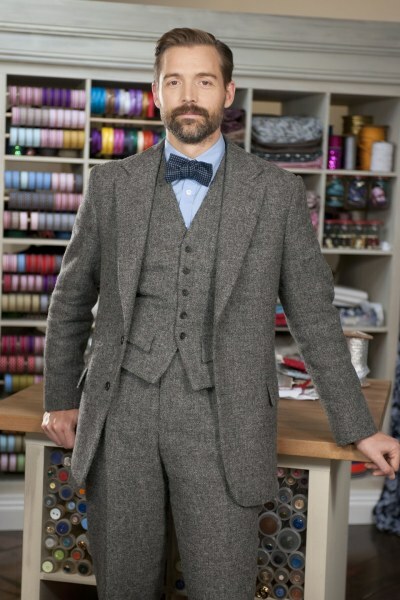 The talk was co-hosted by menswear guru and GBSB hottie Patrick Grant!!! The deal was immediately sealed and we hot footed it to the British Library on Monday evening. The talk started with co-host Dr Hannah Greig, a specialist in 18th Century British history, who discussed the concept of 18th Century fashion - the Beau Monde. She described how attention to detail was paid not just to clothes, but also shoes (£3 million diamond shoe buckles anyone?! ), swords, fans and snuffboxes. I also learnt that as a fashionable person in the 18th century, you would have had a direct role in commissioning your own clothes, dictating the style, colour, choice of ribbons etc. Very different from today, where the power appears to lie with designers rather than the individual. 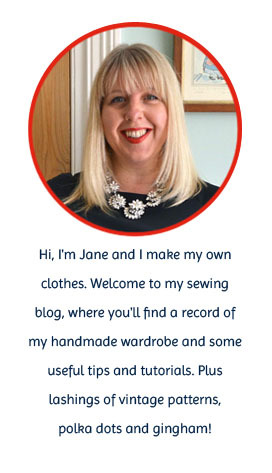 Unless, of course, you're lucky enough to be able to make your own clothes….! Hannah Greig obviously knew her stuff and to be honest, I could have listened to her all night. But she only had limited time available and had to make way for Patrick. Ah Patrick, tall, debonair and sporting a sharply cut First World War-style haircut, he was a delight to watch listen to. He talked engagingly about the historical resources he'd used as inspiration for his latest menswear collections. Drawing influences from the Bayeux Tapestry, heraldic imagery and Hogarth's The Rake's Progress (after the Rake has come into money and starts hanging out with tailors and musicians). Again, I could have listened to him all night…. but it was difficult to pack every single topic into the allocated hour and a bit. Sadly, I didn't find out the story behind the three piece suit, which was the bit I was most looking forward to. But it's actually spurred me on to look it up myself, unless anybody would care to enlighten me? The talk accompanies the British Library's new exhibition - The Georgians Revealed - which looks amazing and runs until 11th March 2014. Liz and I will definitely be back to learn all we can about gambling dens, coffee houses, shopping and celebrity - not much different from modern London in fact! 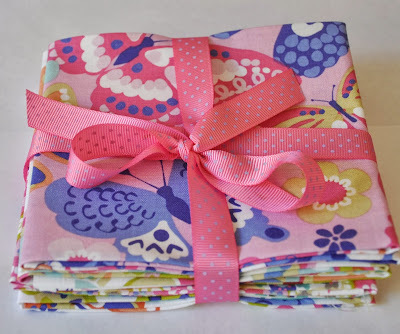 Thank you so much to everybody who entered the Sew Scrumptious Fabric giveaway. There was an amazing response (which is hardly surprising with such beautiful fabrics up for grabs), but sadly, there can only be one winner, and that person is …. Congratulations, you win the gorgeous Blend Fabrics FQ bundle and a metre of your chosen fabric - Enchant Birds in aqua (oooh lovely!) Please email me your address Manju and I'll forward your details to Sew Scrumptious. In other news, I've now finished all my christmas craft fairs, which is quite a relief as I can now concentrate on juggling the three sewing projects I have on the go at the moment. My raincoat (you'll be glad to hear that slow and steady progress is being made), a party dress to wear next Saturday (not even cut out yet…) and my one and only handmade christmas gift - a quilt for my son. Don't worry, the quilt's quite a bit further along than this!